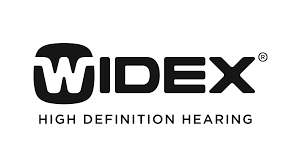 We sell, program, and service and repair hearing aids manufactured by a variety of different companies including: Phonak, Oticon, Resound, Starkey, Widex and Siemens. Congratulations! 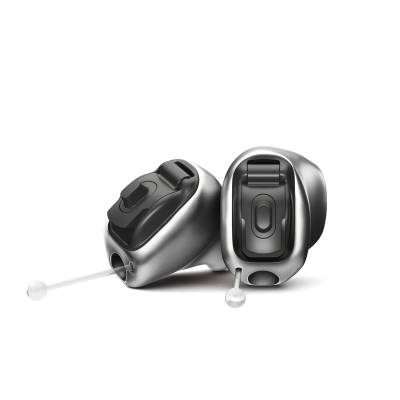 You’ve finally decided to take a positive step toward better hearing, and you’re ready for hearing aids. You should start with a visit to an audiologist. When you come to us, we’ll perform a variety of hearing tests. These will tell us the type and severity of your hearing loss, and will help us design the treatment plan that’s right for you. 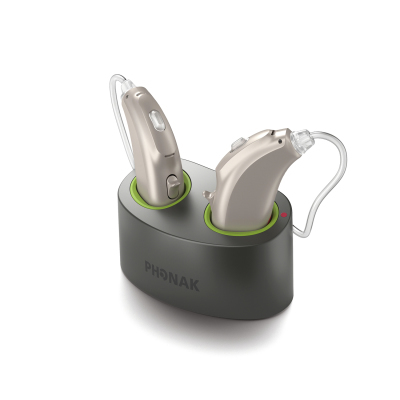 There are thousands of different hearing aids on the market. Can you imagine looking at all of them and trying to select the one that’s perfect for your lifestyle, budget, and exact type of hearing loss? Luckily, you don’t have to. We can determine your type and severity of hearing loss and recommend the hearing aid that will meet your needs. 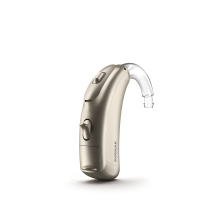 You already know that you shouldn’t select your hearing aid entirely on your own. And when you buy online, you do just that. You could spend hundreds of dollars on a device that won’t help you hear the way you want to because it isn’t designed for your needs. And here’s something else you won’t get online: follow-up care. If you order from a website and your hearing aid needs replacement or repairs, what would you do? Would you track down an address and ship your devices away? How long will you be without them? How are you supposed to hear while you wait? Why should I see an audiologist? Can’t I just buy my hearing aids online? 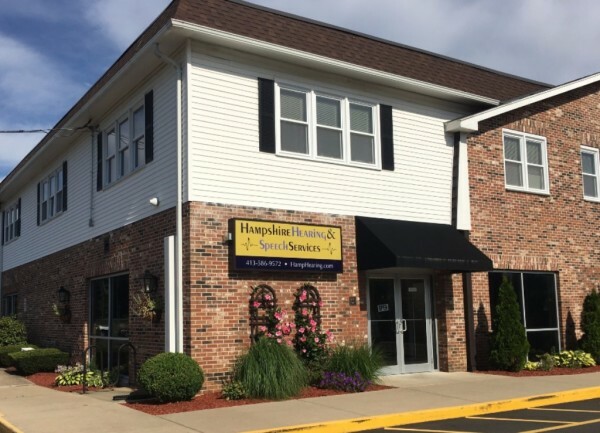 At Hampshire Hearing and Speech Services, you don’t have to worry about any of that. If you need cleaning or repairs, you know you can always bring your hearing aids to us. And most repairs can be done on-site, while you wait. When you purchase a hearing aid from Hampshire Hearing and Speech Services, LLC, it comes with a three year service plan as well as three year loss/damage and repair warranty. 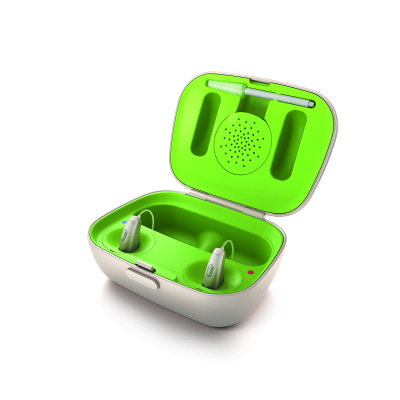 Fits comfortably and unobtrusively behind the ear, with a thin wire connecting the receiver which is in the ear canal. Effective for the full range of mild to severe hearing losses. Versatile. Very discreet and cosmetically appealing. Available in assorted colors to match skin or hair. Now available in iPhone compatible, Android compatible, or rechargeable options. Fits comfortably and unobtrusively behind the ear, with a custom earmold or slim tube (depending on the degree of hearing loss). Effective for the full range of mild to severe-to-profound hearing losses. Available in assorted colors to match skin or hair. Now available to pair directly with iPhone or Android compatibility (with the use of a streamer). Also available in rechargeable options. Custom-made, fitting entirely in the ear canal, or available in full shell or half shell. 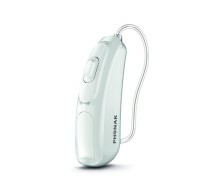 Usually with a smaller battery than the ITE, effective for mild-to-moderate hearing losses, less visible than ITC style, much smaller battery (with reduced battery life), requiring a minimum size and shape of the ear canal, with some limitations in reliability, user flexibility and functionality.